Why Use the SumoMe Plug-in? The image above is what's possible (among other things) with the free SumoMe plugin. Notice the Social Sharing icons on the left AND the cool pop-over with email submit form - both done with one single plug-in! Yes, it can easily be done with two plug-ins, but as you may or may not know, the more plug-ins we have, the more processes consumed and this slows down our page load speeds. And, slow page load speed is not good for SEO or your visitors. We can lose a LOT of website traffic if our home page is loading slowly - first impressions and all. And, this is not the entire feature list - just some. Not all of these are free, but you can pick and choose the ones you want to use in addition to the free features. As you can see, this is a pretty powerful little tool. And, for one plugin, it's fairly robust. As with the MailMunch plug-in I covered recently, this plug-in makes a connection to another server (SumoMe server) where you setup most of what you'll be using. Okay, so let's get this puppy installed and configured for both Social Sharing and Email Subscriptions. Thanks, your training was excellent. Yes, I would look for Sumo. It still should have come up in your plugin search tho'. But if you type in Sumo that will for sure and then you just need to upload the plugin and activate it. what is sumome and why is it good to have it? 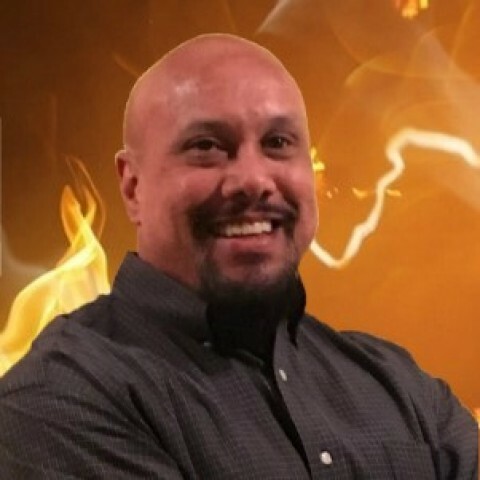 It is just a really easy and cool tool for social media and more Philip. Free to use with the option to upgrade. I have almost got my store up and running Philip so will send you a PM when done. Thanks for the training. Very helpful. Hi Pj, thanks for this tutorial. Usually, after each post, I test out by sending them out via social channels but I am only getting share count for Pinterest. The other social media such as FB, Twitter, G+ are not recording any share count at all. Is there anything I should take note? Thanks. Twitter is known to have this problem but the other two should be recorded. It usually has to do with the plugin, you may want to try other social media plugins that will work better. The Twitter problem, you can get around it by doing some work around, just Google "how to show Twitter share count" or something similar. Thanks, Grace. I realise apart from Twitter, G+ also removed their share count function, thus if I want to count the share for G+, I need to go around it using probably another plugin that can do the trick. It's really annoying that these social platforms do this because what's the point right!? Social media is about sharing so why these platforms don't let us count the shares using a plugin really boggles my mind and we have to do all this work around. Lol Nothing's easy! Thank you Pj. Awesome training! Fantastic, this is just what I was looking for. Will install it now. I just tried giving Sumo a go for the first time. It looks packed full of amazing stuff. But, there seems to be a catch now. When I tried to integrate MailChimp the free plan isn't possible. I was a bit confused so I headed over to the reviews on WordPress. A reviewer is saying Sumo has changed to paid only for new integrations... which is obviously a real shame for newbies. Well, it looks like I'm going to take another look at "MailChimp for WordPress by ibericode" and separate plugins for other bits and pieces. I like the idea of a good all-in-one plugin that's free while starting out but maybe it doesn't exist. Yes, that is one drawback but most require you pay for that. I think Get Response is one that has a few extra options that are worth the monthly price but not positive. You can try Disquz ( not a spelling error) as well. It is free with of course as all a pro package. Thanks for the tips there MsMerry. I have MailChimp and was looking for a decent WordPress plugin for it and the one I mentioned seems to be a good one. Took me all of 5 seconds to link my MailChimp account, now I just have to design the forms. Good for you. Which one 'ibercode'? I'm no expert on it but it's been around for quite a few years, 900k+ users, 800+ reviews (overwhelmingly 5*), so I gave it a try. And yeah, so far so good. As for SumoMe I kind of wonder if I should put it back in for any of its other features since it has so many. Thanks, Robert. I am going to have a look at this. I have toyed with Sumo and then back to the Ultimate Social media plus and then a new one to me is Disquz. Okay then Merry, my pleasure. Awesome lesson, This is very much needed. I must connect the sumome to an email service for it to send notifications to my subscriibors about new posts? I thought that the sumome sends the emails, no? Does it mean I must go pro with sumome to get this service? If you are building an email list with SumoMe, it's likely you'll need an autoresponder along with the plugin. You may have to upgrade to Pro with SumoMe, PLUS, pay for an autoresponder like Aweber. Once people subscribe will they automatically be sent a new post that I write or do I need to manually do this? Thanks for the post! You set this up and it is automatic thereafter. Is there a way that you can tell me how I'd go about doing that thereafter? This was an awesome training. So much to learn and you help out big time with this training. Thanks PJ! No free good stuff in the world. Excellent step-by-step training. This is precisely what I was looking for in terms of a powerful plugin to share and more. Too many features though, so I have to be careful not to "waste" too much time on exploring it versus building my incipient website. Awesome problem to have! Awesome, Mauricio! I'm happy it helped!! I just installed SumoMe on my site feeling very overwhelmed. Your tutorial made it much easier. Hi PJ, this is a great tutorial. Thank you so much for putting it together and sharing it. All the best. Well, in the sense that ANYthing you add to a website will slow it down, yes. BUT, the trade-off is without question, worth it. Man , this is Wonderful! Thanks a lot for that information. I will set up now! Great Lesson and easy to follow. Took me a long time to get my head around it but got it in the end. Thanks for this PJ. I'm still new to this and, at this stage, wondering if it's worth subscribing to the PRO version. Do you think the free version is adequate for now? YES, indeed!! I run the free version on many websites. You're a legend. I am not up to the level of creating a subscriber list yet but the training on including social media icons is awesome! Your an absolute legend PJ. Thanks this. Another great tutorial. Thanks PJ. This is fantastic...thanks very much! Thk u for your valuable training. After installing Sumo, is there any way that we can turn off the bottom part ad or ad articles ? So I set this up a while ago, but then I think I don't quite understand how to set it up so they actually get emails. I have people on my list (as well as one of my own email addresses) But i haven't been receiving emails to that address after I make new posts. I feel like I'm missing something. Thanks a lot and keep on rocking! Where would you get the ebooks? Sorry, ebooks for? Are you trying to find ebooks that you can give away as a bonus to your audience? I have installed it and now it is driving me nuts. I think I may have done something wrong because now I have some advertising that I don't want and I don't know how to get rid of that part of it. Thanks for this training! I would have had no idea what to do with subscriptions. Thanks! Hi PJ, Thank you very much for your time. Thank you again. I am follow your training. Appreciate your hard work. What's the downside of installing Sumome if it is "untested"for my version of WordPress? (using Twenty Twelve version 4.5.2). Not much. I a plugin goes "wonky" on me or causes any issues with my website, I just go back deactivate and delete. But, I have tested many plugins that came with that "untested" warning. So I have just installed the social portion of SumoMe and have a question for you. I know that you use GetResponse as I do as well. 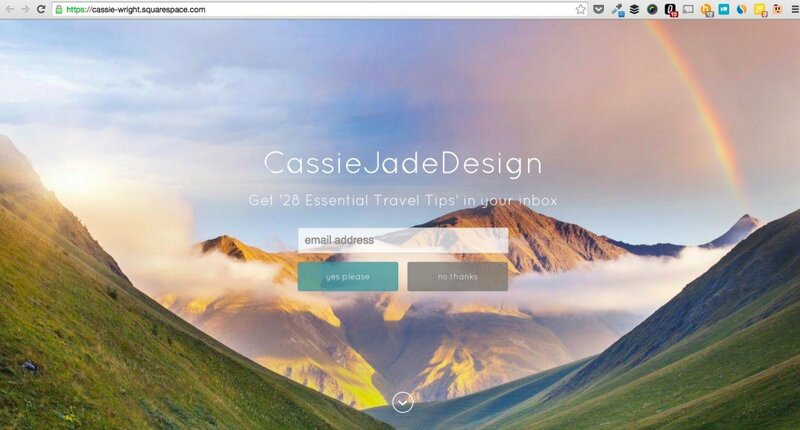 Do you use the Free email opt-in apps that SomoMe offers along with GR and if so WHY? GR is pretty robust and you're paying for that ...just wondering. I use the Opt-in form generated from GetResponse.....but, I use the SumoMe "List Builder" function to create the "Pop-up" that presents the GetResponse optin. It makes sense but I thought that GR had a pop up option as well. I need to get back into GR and SumoMe's list builder and try and figure it out. Thanks good buddy! I've read lots of training here, but I think this has been the best! I tried easy plug in, tried to set up mail chimp and using sumome. Nothing seemed to work. This really explained what I needed to know. I'll work on this tomorrow. Then look through your training and make sure I know how to set things up to offer a ebook giveaway, which I rhink I just saw posted. Of course, after I have gone through all this, you suggested that we don't set it up til we have lots of content and finish bootcamp. That's me, get ahead of the plan. Seems like everyone has a squeeze page, so I thought I'd better get on the band wagon. Guess I'll get back to lessons in bootcamp. LOL! Yep, take your time Shelley. I'll be here to lend a hand should you ever need it. Cheers! I am just like you Shelley! Always getting ahead of myself and then.....yeah! 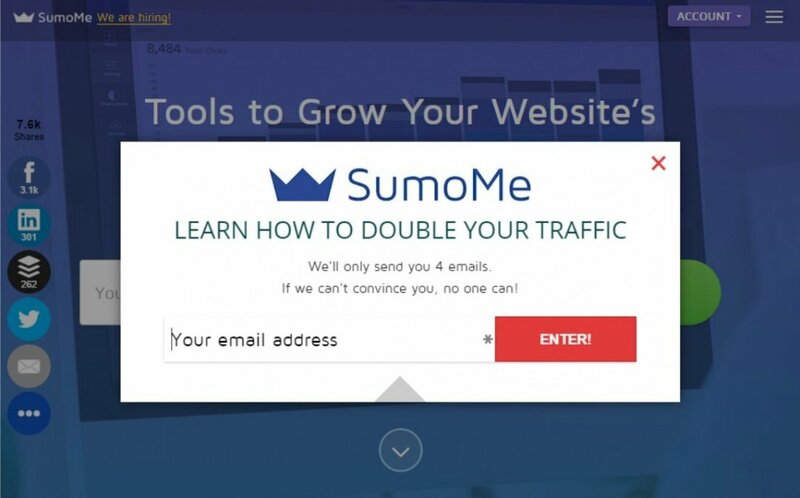 I have Sumome but can't get the double your traffic thing to work. Chez, which "double your traffic" thing are you referring to? I got a message saying insert your email and we can double your traffic. I think it's to do with Sumome share app. Ok, I went to check out Get Response and was totally overwhelmed--all they talked were big businesses and I'm still trying to figure out what I am trying to do! Hmmm.....yes, it can be overwhelming at first. I'm thinking this might be my next training video. I wonder if you would mind telling me which of the email collecting methods is most effective, or which one you would recommend? Well, that depends who you ask. LOL! From the six figure owners that I have experience with, they like the Welcome Mat configuration. The one that covers the entire screen. I know you are, but what am I ? LOL!!! I'm sure we can!!! Lets go for it. I'm having such a good laugh!! Whoa!!! Get some sleep! Sweet dreams! Indeed I did. And you? Oooh yes!! Do you dream much? LOL! No, not really. Which is fine. After being in law enforcement, there are dreams that I'm so glad I don't have anymore. Not too wobbly I hope!!! OHHHH, so tease me why doncha!?! Oh, poor you!! Is it dinner time for you yet? Just about..... RED meat!!! Steak night! Woohoo!!! Ha ha!! What's the time with you? Sorry, what time is it?!? Its nearly 1am here!! It's time for my meds. Well send some! Make mine a Double-shot Cafe Mocha please. I'll be waiting! Don't get any on my keyboard! I think I'm gonna have to change my shirt! Already had dinner!! 10.30 here!! You? Nope! Marinating the chicken! What did you have? Excellent! No dessert? a fruit cup? I love grapes! The black seedless ones! We'll have to form a GA group. Grape Anonymous! This definitely looks like something I could use on my website. i love it!!! I think you will also! PRETTY cool, I must say. Awesome tutorial. I have a landing/maintenance/capture page plugin; but this one seems multi-purpose (and I like that). Will check it out! You can put that on your Thank You page as a download. Within List Builder, there is a spot to send folks after they signup. Put your Thank You Page URL there. Thanks, you just made my day!! Awesome Kevin! I'm happy it helped! is this the social media sharing plug in that 'slides out' on the left? thanks for this post--useful. I think you can make changes to the appearance of the social media buttons. It does not always have to be "floating" on the left. Yep, it can be on the left, right, top or bottom. It can fade in, slide in and so on. Thanks man. Work in progress. I decided to change the email opt in to the bottom right instead of in the middle. And using a smart bar for facebook likes as I type. I cant set this up without having mail chimp or aweber? SumoMe has several features, just one of which is the connection to a mail service such as GetResponse, MailChimp or Aweber. But, the sharing feature is also very good. Yes, the mail services do have a monthly fee. these aweber and so on cost money?? If you join with my affiliate link, I'll be happy to help you with it! Send me a private message via my WA profile. That is a complete revelation!! I just installed SumoMe and it gives you a lot for free. The list builder looks interesting... however , right now I cant afford another monthly payment for an email client/ autoresponder ... so is there any point in collecting email addresses with List Builder ? Im just starting to get people looking at my site... so not sure how soon I will need aWeber or the like , for email. Is there an alternative way I can deal with emails until I can afford a proper Email client ? Not really anything worth your time. I would wait on the email collections. Thanks so much for this training!!! That is so valuable! I have a question. When I click in service, there is nothing show up. No "AWeber" or "mailchimp". What is going on? Do I need to setup anything else before? Are you using the List Builder portion of SumoMe? I was accidentally in the Sharing app of SumoMe when I first began trying to set this up. Yes, in the list builder. keep looking for a link to sumoMe so you could get the credit. I don't believe they have an affiliate account. BUT, if you go with GetResponse, please PM me! I'm happy it helped Fox! Cheers! Mate this is fabulous stuff. I have used SumoMe for a while now. Do you still use only the Free version or have you signed up for Pro Version? Great training Peej. Where do I create the thank you page? Just like you do a regular page on your website.... Except you do not add this one to your menu. That way, it's kinda hidden. You'll know it's there and the autoresponder/opt-in software will be able to send people there. But, it doesn't need a place in your menu structure. Thanks PJ. I'm off to learn a new task! Help please! Why is the pop up I created in Sumo Me not showing up on my site? It only shows up on my mobile. Might be an issue with the theme you are using? Just thinking ... perhaps you should have WA support look into it? I would encourage you to contact Site Support. Click on SiteRubix and then to Site Support to let them know about this issue. All the best! Thanks rodeves and TheOldSilly. I found out that I was able to view it when I'm in incognito mode. Thanks for the training. I was so looking forward to using SumoMe only to find out that Benchmark Email is not on the list of services. They have a great free account autoresponder. I can't afford a paid service right now. I was with the free mailchimp account but it is so limited in what you can do. Hopefully they will add Benchmark Email. From what I understand it is a fairly new service. Thanks Pj , You are relentless in teaching important marketing tools . I may have missed this but Katie brought it to my attention. Great training and easy to understand. I have Sumome but havn't activated it. With this training, I know how to set things up and can refer back. Thanks for the training P.J.! thanks... got into my account, but the page says "my sites" and there is nothing listed... added site but it is already installed...might be my theme.. can't figure out how to make it work in my site... I want to share a specific post,,, .finally figured out that I had to be in view site... got it to work... still strange... but we shall see..... thanks so much for all your help here... you are definitely the person I look to for help lately...! Thanks for the lessons! I replaced my previous plugins for social sharing and listbuilding with the SumoMe plugin and I feel my site has a more professional look to it. does all this mean that you do not need a autoresponder (Aweber, etc.) or this Sumo brings additional benefits to your marketing? I just copied this from the details for the plugin. Hope this helps and answers your question about the autoresponder. List Builder will let you create a fancy lightbox pop up to build email subscriptions (for MailChimp, Aweber, GetResponse, MyEmma, ActiveCampaign, Infusionsoft, HubSpot, Feedblitz, Ontraport, Klaviyo, Constant Contact, Mad Mimi, Vero, Zapier, Pardot, ExactTarget and others). More Info concerning the list builder app. Our email list builder easily connects with all major email providers including Aweber, MailChimp, Constant Contact, GetResponse and Campaign Monitor. This means that if you use an email manager like MailChimp, your new subscribers can automatically subscribe to your list instantly. Alternately, you can simply set List Builder to collect email addresses that you can export in CSV format. You will still need Aweber... etc... Sumome works hand and hand with your Aweber. Truth is Aweber does not need Sumome, sumome needs Aweber.... Constant Contact, Mail Chimp, Send In Blue.. whatever. Seems like a great add on. Always pushing up-sells though. But it gets redundant: Weber,ì plus sumo me plus mail munch. It just sound as a voluntary life complication. Why all this if just one, Aweber, does it all? But most importantly I want to know your experience or review of Rapid Mail. This is a very important issue, because you can spare the high monthly fees that autoresponders ask for. Rapid mail is a plugin for word press and it costs only about 60 bucks. One payment. Is it not exciting folks? Hi Phil, sorry for the delay. I investigated RapidMail, I had reviewed their website, but it's been awhile. Rapidmail is a Newsletter only. An Autoresponder is a series of emails that is triggered upon sign-up. The initial email is referred to as Day 0 – sent immediately. Typically this is a Welcome email that introduces yourself and elaborates on what the subscriber will learn from your upcoming email series. Then, you set a frequency for the upcoming emails. I like the 7 day approach, so that my readers only receive one email per week. Some marketer go with more, some less. So, I have a Day 7 email, a Day 14 email and so on. I have a myriad of subscribers in differing stages of this email series, because it all depends on when they signed up. The beauty of this is that it works while I do other things – or even if I’m sleeping. So, while you "can" get away with only one service (and I've fully tested this).... it doesn't work as well as the way SumoMe OR Mailmunch do the presentation and hand off of the email subscribers TO the chosen service. So, what I mean to say is that SumoMe OR Mailmunch is the presentation and transfer method of obtaining the website visitor's information and then transferring that to a service such as AWeber OR GetResponse. With this and my other recent training, I have tried to present a few options or alternatives. SumoMe and Mailmunch are free. Yes, the autoresponder service comes with a cost. There are several ways to do Newsletters with an Optin totally free. But, they aren't as effective OR time efficient as an autoresponder. I hope that helps clarify a bit. Unfortunately it is true the saying "if it sounds too good to be true......"
and thats how the youtube presentation of Rapid M. sounded, saying that the app would work exactly like a full fledged autoresponder. Of course not having any experience, I had to rely on WA folks experience. Just one last question, Sir: my website has only 7 subscribers to my posts. Is it worth to buy Aweber's services for such a miserable lot? Or better wait till a couple hundreds are gathered? I would definitely wait until you have several posts under your belt (at least 24) and begin promoting your website with Social Media or other means. When you see your stats going up (website "hits" or visitors), then it's a good time to begin getting into autoresponders. GetResponse is free for the first month and then will begin to cost about 15 per, if I recall. And, just prior to signing up, be sure to already have an email series ready. Cleared it up wonderfully for me. Thanks guys, I was confused about this for sometime now. Actually I have already 40 posts on the blog now. How would I begin promoting my website with Social Media or other means? Please be aware it is an awfully difficult site to promote, I think. It is dedicated to NATURAL remedies and cures for LIFE THREATENING DISEASES (heart disease, diabetes, cancer, metabolic syndrome, etc,) where I m discrediting cures, doctors and medicines of conventional medicine. Would much prefer a more natural regime for my heart problems and high blood pressure. What's your url Phil? Hello Suzette. If you want to know about natural heart cures, I have half dozen posts on my blog (www.thissites.com) you could find interesting. Went to your blog and clicked on that link. Saved it! Thank you. Awesome! Thanks so much Clare! Thanks for this training PJ. I have just installed sumo me and your training explains it all. One question. Do I have to deactivate/remove my social media plug in first before implementing social sharing app? Yes. At least deactivate it. Maybe hold onto it just until everything has transitioned well, then delete. You will be without social for just a bit while you set up your new plug in sumome. Thank you. I did deactivate it and would probably delete it at some point. PJ your training is awesome! Saves me so much on the learning curve. Much appreciated!!! 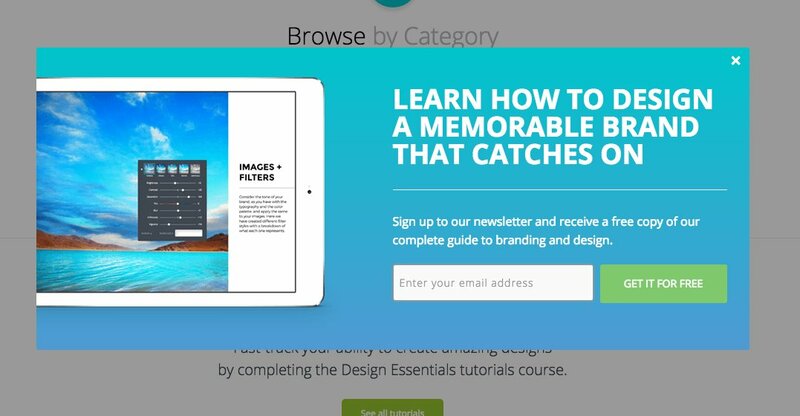 Hi, how do I get SumoMe's Email Opt-In Form to appear on my site's sidebar? Go to your SumoMe's Email Opt-In Form and copy the code for that specific Opt-In Form. Then paste it on your sidebar widget. I am confused. Is this http://prntscr.com/9qpgis called an Opt-In Form or a pop up? If it's a pop up I won't be able to place it on my sidebar right? So I have to create an Opt-In with the Autoresponder that I'm using? That's a Popup Opt-in Form because there's an X at the top. Yes, you're right. You won't be able to place it there. And yes, you have to create an Opt-In with your Autoresponder. Thanks. That cleared up the confusion. Thanks for this great tutorial Pj! I've tried this on my test site. They look great both on PC and my iPhone! But the buttons block the content on my iPad (see the pic). Do you know how to fix this without changing the location of buttons? Many thanks in advance! Hi PJ, I can't thank you enough for this! I tried to follow you along and install as you went through things, I did ok until I got to the services section. I think I have to have activity on my site before I can set that up! Lol! But the rest is great information and things I have been hearing about but didn't know what they were. Now I know!! You are great! I recommend GetResponse. I have used several, but returned to them, because of ease of use and flexibility. Just a quick question. I have Sociable plugin already installed on my site. If I switch to SumoMe, I have to uninstall sociable, correct? Will I loose any previous share counts that I gained or will it be recorded on the Sumome share buttons? 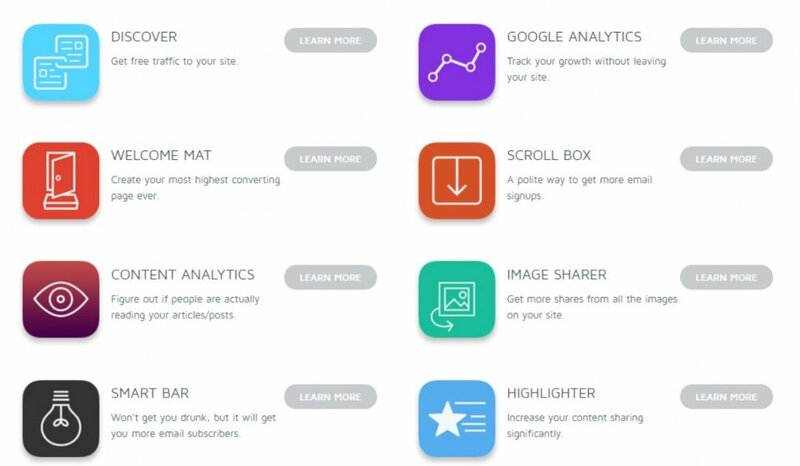 Hi Roopesh I also I used sociable plugin before but when I started to use Sumome I just deactivated the sociable plugin and the share counts carried over to my Sumome share plugin. I am just using the Sumome entirely now. Agreed, the social counts "normally" carry over. Thanks a mill. Am gonna switch to Sumome. How do I uninstall List Builder in SumoMe? Is there any free autoresponder service? I need to have an autoresponder service to link with List Builder right? Sorry, Yvonne, not that I'm aware of. And, yes, to use List Builder you need an autoresponder. Mad Mimi is only $10 to start out. Since I can use one plugin for opt-ins and Social Media, I believe I will add it. WOW!!!!!! Thanks, Pj. That was quite a ride!! I went through it with you on my other PC and set it up as we went. It looks grEAT. I'm looking forward to using it now. I have MailChimp but I don't think it's fully functional yet. I'll check. This was an exciting trip. EXCELLENT!!! Thanks very much for the feedback Barry! Have to do this! You are top priority! LOL!! Awesome Loes! That's HUGE coming from You! I already had SumoMe, you helped me make some adjustments to my choices. Very nice training PJ. Another great training. Thanks Pj! I installed SumoMe on one of my sites an very quickly saw an increase in traffic. They have some nice tools. I am still in the learning phase wit it. thanks for the training. I am ready to add an email opt-in. This looks like a good one. Thanks Peej. Another great tutorial PJ. There's no doubt Sumome offers a lot for one plugin. Thanks for putting this together. Cheers. Ken. Hey nice one PJ, been using SumoMe for awhile now and, I like it very much. Awesome!! Thanks so much Forrest!!! Very useful PJ, great tutorial and helpful. Very much worth looking into. Great stuff, thanks for sharing PJ. Bookmarked for further study. Dear PJ, thank you for this amazing tutorial!!!! Thanks PJ was just looking for something like this and wondering where I could find it and voila you have made it. Thanks really appreciate it. So flippin' awesome PJ! Thank you so much! I was working on my opt-in giveaway to start building a list for my site (finally) and this is just what I needed. So timely. Thanks again! Amazing! Thanks a bunch Dara!! Thank you for sharing PJ great tutorial once again. So do you use this one or MailMunch? I have social sharing plugin but might switch to sumome... Just not sure which one is better out of the two (SumoMe or MailMunch). I have MailMunch on one website and SumoMe on several others. Because SumoMe can do several functions for me, I prefer it. Great training and information! Have Bookmarked it so I can go over this. As always good info and training!! I learn allot from your training. Awesome! Thanks so much (again) Linda!! When I tried to move my icons from the left to above and below the article, I can not. It is saying that I have to upgrade to SharePro to override the default settings. That's very unusual Suzette. For the test website I created for this training, I used a new install of SumoMe and everything was totally free. Is yours a new install of the SumoMe plugin? Hi PJ, I went and looked. I have version 1.10. It was updated a month ago. States it is the latest version. BUT it also says that this plugin ha not been tested with my current version of wordpress. That concerns me. Does this mean I have to update my wordpress version or it is a conflict with my theme? Awesome and saved so I can get to all the information hopefully very soon. Awesome, thanks for sharing, cheers! One question I have, are you allowed to use the paid functions on multiple sites or do you have to pay for each one? Yep, multiple! :-) Thanks Jay! Good question Jay. I would like to know that as well.